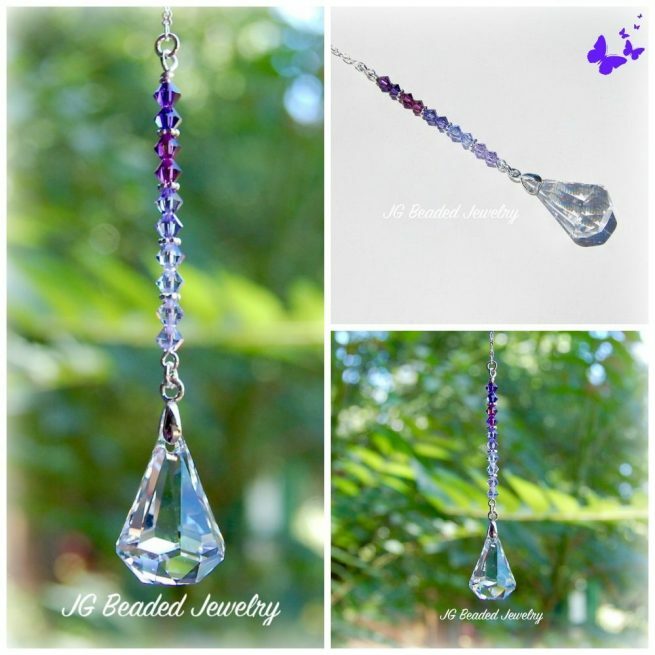 This Purple Rain Swarovski suncatcher is uniquely designed with a gorgeous clear Swarovski Xirius raindrop prism crystal. 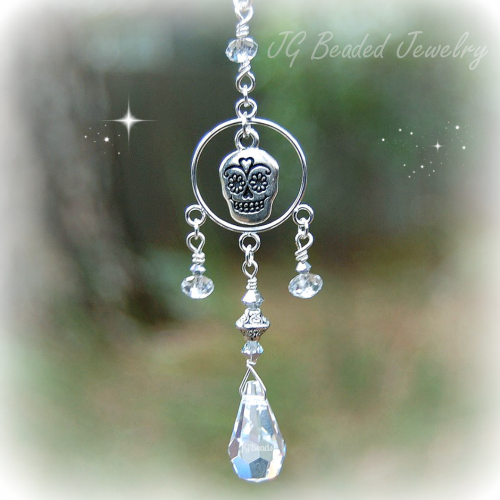 It can be hung on the rearview mirror, in a window at home, the office, nursery, sun porch or wherever you choose! The purple rain Swarovski ombre raindrop crystal decoration is embellished with flawless deep purple, amethyst, tanzanite, lavender and violet Swarovski crystals in the ombre pattern. 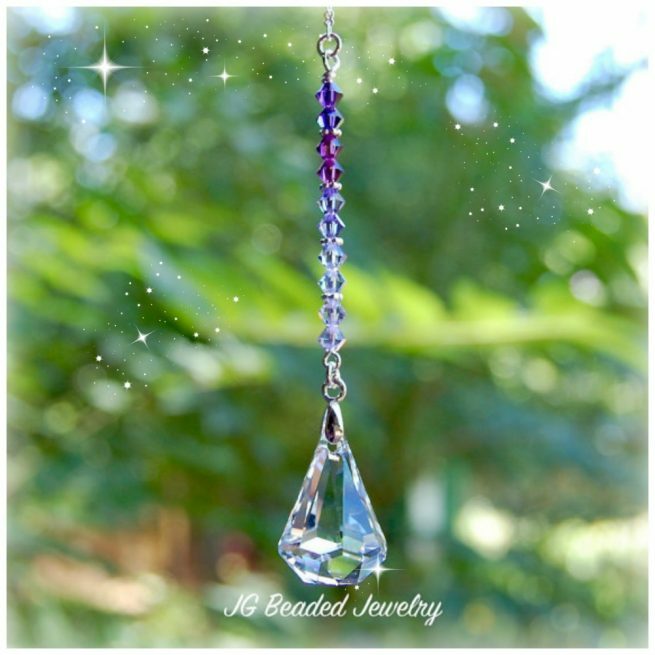 This Xirius Swarovski crystal prism has an elegant shape with a point at the top and a flat bottom. When you look at the crystal from the bottom, it has a beautiful kaleidoscope effect! Swarovski is known worldwide for quality, precision cut, and flawless crystals – they are the best!